Even though the failure rate of our products is very low, in the event of a failure of a critical piece of equipment you need to get back up and running as soon as possible. For a low price, our Advance Warranty Replacement program, (AWR), means that if a product fails under warranty with what the service centre believes to be a valid warranty claim, then rather than shipping the product away and waiting, a replacement product will be sent to site promptly, in advance of returning the goods, greatly reducing any potential downtime. Then the faulty item is simply returned to the service centre, and as long as the fault is a valid warranty claim the replacement device can simply be kept. - An end user focused brochure is available as a link against each item below. 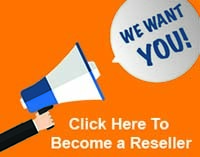 - A reseller focused overview of the program is available on request. - The claim form is available from the downloads section of this site. CIPHERLAB 1500P Advance Warranty Replacement program (AWR Warranty Upgrade). CIPHERLAB 1560P Advance Warranty Replacement program (AWR Warranty Upgrade). EPSON TM-T20 Advance Warranty Replacement program (AWR Warranty Upgrade). EPSON TM-T88VI Advance Warranty Replacement program (AWR Warranty Upgrade). EPSON TM-U220B Advance Warranty Replacement program (AWR Warranty Upgrade). NEXA CB-910 Advance Warranty Replacement program (AWR Warranty Upgrade). NEXA NP-1060 Advance Warranty Replacement program (AWR Warranty Upgrade). NEXA PX-700II/700III/900/900II Advance Warranty Replacement program (AWR Warranty Upgrade).